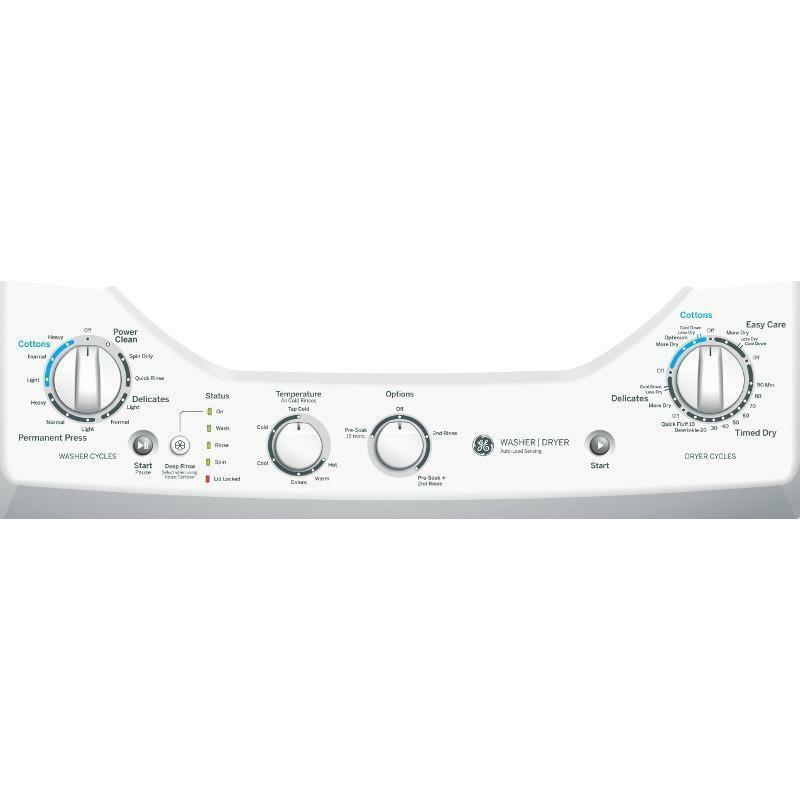 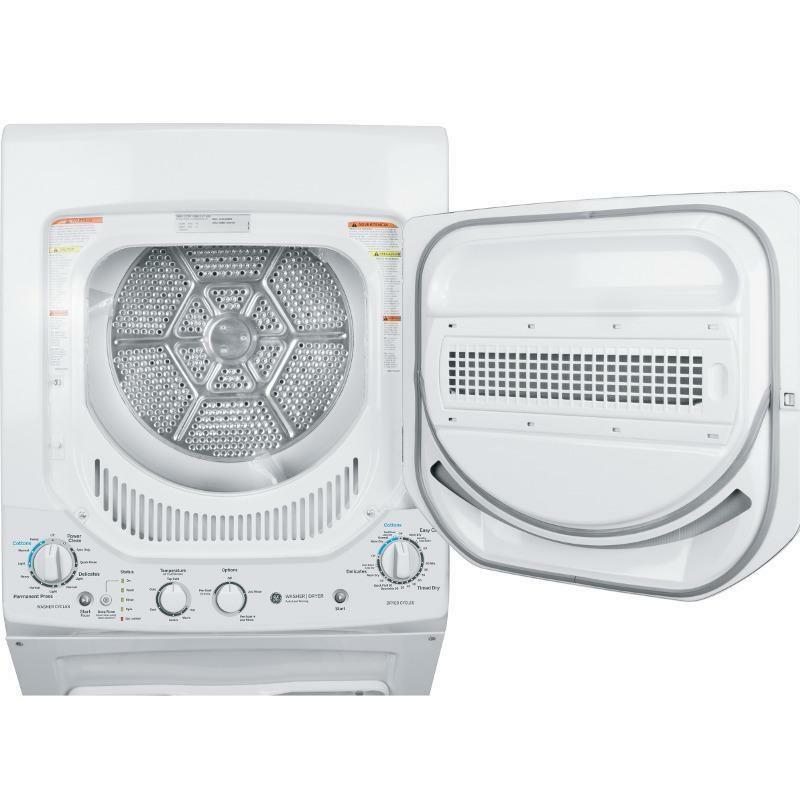 GE offers an electric unitized spacemaker washer and dryer with 9 wash cycles and 4 dry cycles. 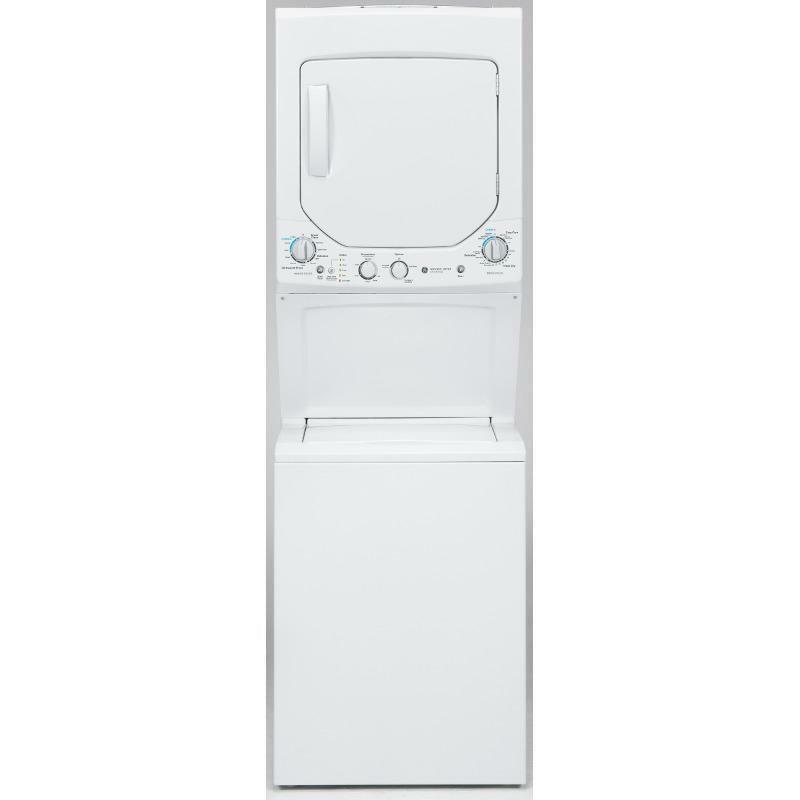 This white laundry center features Quiet-By-Design and Power Clean Cycle which uses more water than standard wash cycles. 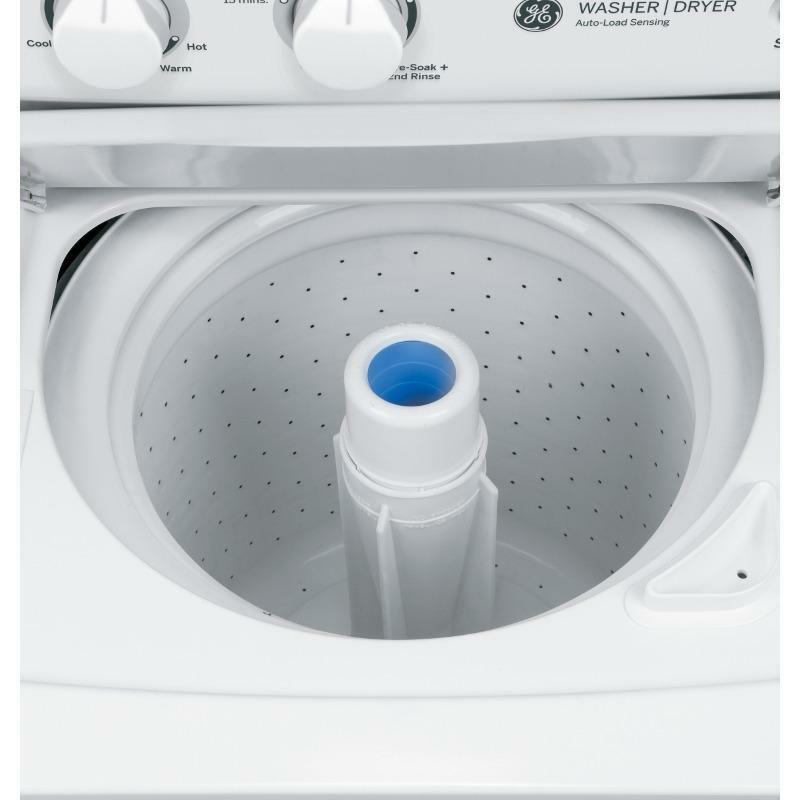 This washer also provides 5 different rinse temperatures, 3 spin speed combinations and a max spin speed of 710 RPM.